Photography exhibition: Rare images of LS Lowry at home at The Lowry. Now this is a rather unusual kind of homecoming. A new exhibition centred on LS Lowry opens this Saturday at (you guessed it) The Lowry. It features rare photographs of the celebrated artist which have never been on display before. The photographs were taken by Clive Arrowsmith, who is world renowned for his portraits of celebrities. 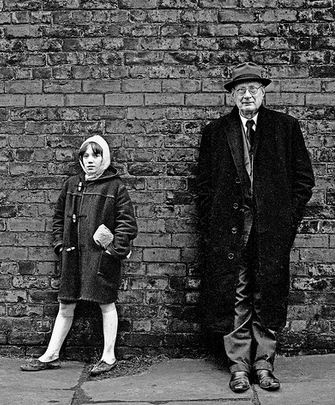 In 1966, he was commissioned by a magazine to document Salford, and he began the assignment at LS Lowry’s house. The artist was a very private man, but Arrowsmith gained his trust, and photographed him at home and on the streets which were the setting for many of his iconic paintings. The pictures provide a unique look at the domestic and private life of one of Britain’s most popular artists. This weekend, Arrowsmith will be giving visitors to the exhibition the opportunity to have their portrait taken – in return for a donation to The Lowry Centre Trust.